Will Rick Perry Make a Good Energy Secretary? Former Texas Governor once campaigned for the White House saying he would eliminate the Department of Energy. 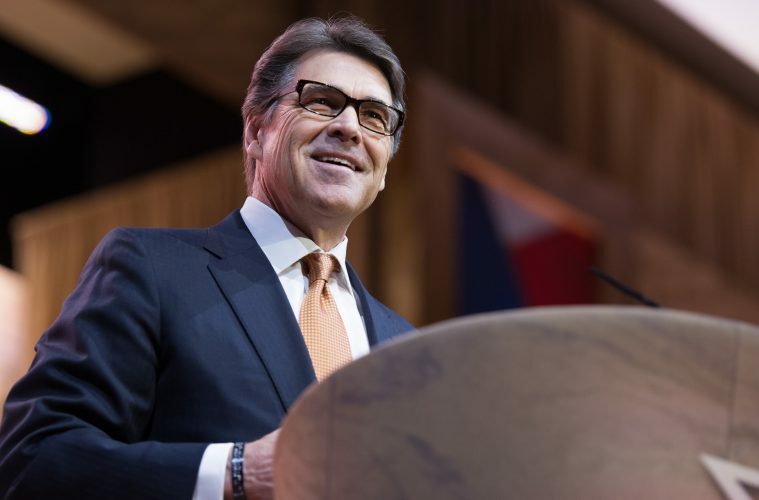 Now, some are questioning whether or not Perry will make a good Secretary of Energy. Over 24 years at Ford Motor Company, Lee Iacocca built a career of renowned success by marketing and selling many of the brands most famous cars – including the Mustang. He then did the unthinkable. Iacocca accepted an offer from Chrysler to be President and CEO. He proceeded to rebuild a company that he had spent years seeking to put out of business. His success is studied and written about to this day. It’s a pertinent case study for the chattering class in Washington, which is aghast at the prospect of former Texas governor Rick Perry becoming our next Secretary of Energy. It is beyond their comprehension that Governor Perry would be put in charge of a Cabinet level department for which he advocated elimination during his own presidential bid. Perhaps if there were even a modest level of serious analysis, even those predisposed to automatically argue Governor Perry is not suited to lead the Department of Energy (DOE) might reach a different conclusion. For starters, Governor Perry never indicated that he believed the various important functions housed at DOE should be given short shrift. Instead, he wanted to separate those important functions from the political advocacy activities that occupy too much of the attention of DOE at present. The Department of Energy did not even exist until 1977 when President Jimmy Carter merged the Nuclear Regulatory Commission (that had previously been the Atomic Energy Commission), the Energy Research and Development Administration (ERDA), the Federal Power Commission, and a multitude of energy centered programs from various departments and agencies.